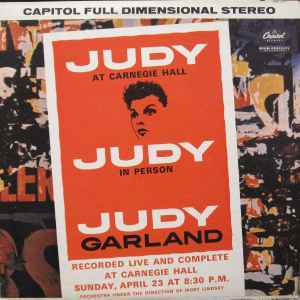 Recorded live and complete at Carnegie Hall - April 23, 1961. Issued in gate fold sleeve. SWBO-1569 appears on the labels. On sleeve (inside the gate fold): Made in U.S.A. - Factories: Scranton, PA. - Los Angeles, Calif.
Over this there is a printed warning that is not present in later reissues: "This stereo record should be played only with a stereo cartridge and needle to avoid damage".